Norwegian aviatrix Anette Vreim, First Officer, Lufttransport, is living her dream as an air ambulance pilot for Lufttransport while sharing stunning aerial pics on her popular Instagram account, @MissBeechcraft. 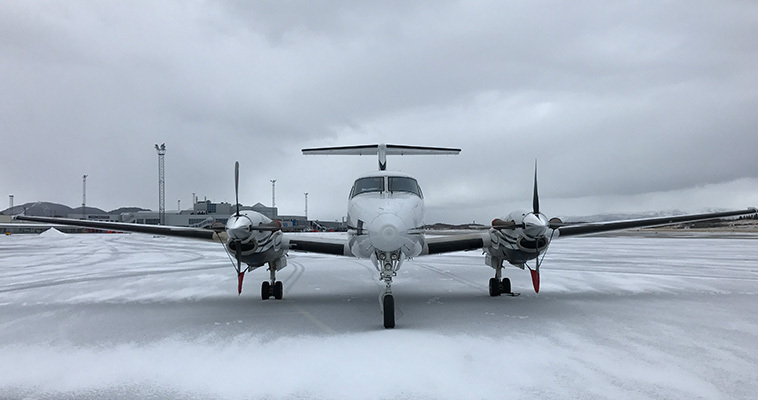 Airtime recently caught up with Anette to talk about her passion for aviation and how she relies on her PT6A-powered Beechcraft King Air 200 to withstand cold Arctic weather conditions. Anette Vreim remembers loving airplanes since she was a little girl. Her first job was flying an Airwing in Oslo on air cargo and air ambulance missions. That’s where she began gaining experience not only for airlift missions, but also for cold weather conditions. “That was my first real experience with bad weather, but after I got through it, I knew how much I could depend on the King Air and the PT6A. It was a good experience, because it gave me more faith in the machine,” Anette recalls. It’s always been my dream to fly air ambulance missions. 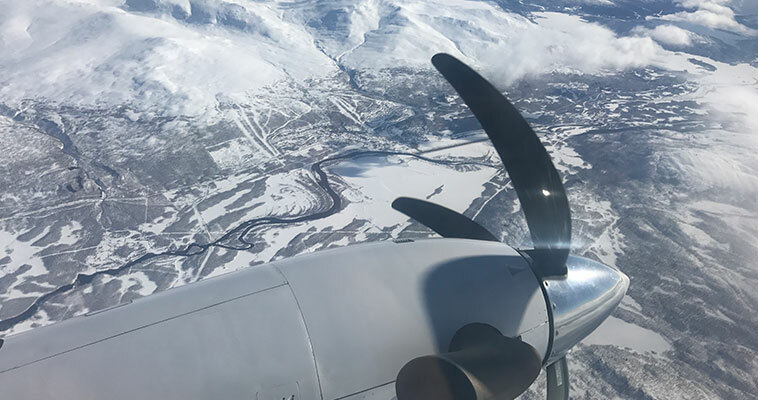 For me, it’s more rewarding than just flying passengers from A to B. Norway is a lot like Alaska – because of the long distances and the mountains, driving to a hospital can take up to 10 hours. Remote communities are dependent on air ambulance aircraft and really appreciate the service they provide. Maintaining the engine in cold weather means pilots need to be fully aware of potential weather-related issues that could affect performance. Ensuring a minimum temperature when starting the engine, keeping snow and ice out of the engine to ensure the fan doesn’t lock up and protecting the inlet and exhaust are all part of essential prevention. To ensure takeoff in an emergency, both pilot and aircraft need to be ready at a moment’s notice, she maintains. “Whenever possible, keep the airplane in a hangar. If you’re outside, use propeller straps and engine covers to protect it from the environment, especially near the coast because of the salt in the air,” she said. When you fly air ambulance missions, no two days are ever the same. There’s always something new. That’s what I love about this work. On Instagram, @MissBeechcraft shares Arctic scenery with her followers, offering enormous gorgeous vistas of ice-capped mountains and sunsets from the viewpoint of a cockpit. “I have the best office view that anyone can ever have, and I love sharing those pictures with other people,” she told Airtime. For more advice on optimizing your engine’s performance in harsh operating conditions, check out Airtime’s articles on engine maintenance in cold environments and desalination washes. Images courtesy of aviatrix Anette Vreim. So You Want to be a Spitfire Pilot? Are The Skies Getting Too Crowded?